Europcar Mobility Group UK is focusing on enhancing the customer experience for travellers with its newly refurbished London Heathrow car and van rental branch. The new car and van rental centre at Heathrow is the largest Europcar location in the UK and underlines the brand’s commitment to meet the needs of travellers arriving at and departing from one of the world’s busiest airports. 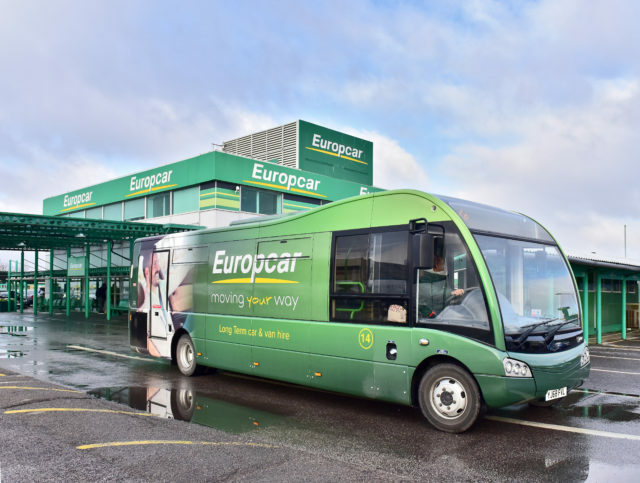 Based on the Northern Perimeter Road West, Hounslow, the Europcar location is fitted with the latest technology, offering 24-hour access to car and van rental services developed to streamline journeys. And recognising that a large proportion of travellers arriving at Heathrow will be heading into the capital, the Europcar car and van fleet is fully compliant with the new Ultra-Low Emission Zone, which will be implemented from 8th April 2019. Europcar’s Arrive and Drive service at Heathrow Terminal 3 also underlines the brand’s commitment to delivering the most efficient onward journey for travellers. Once through passport control and baggage reclaim, the Arrive and Drive shuttle bus service picks them up outside the Arrivals Hall to take them straight to their Europcar vehicle. Gary Smith, Managing Director, Europcar Mobility Group UK comments: “Our refurbished Heathrow Airport location has been purpose-built to deliver the very best in quality and convenience. Whether its business or leisure travellers looking for one-way rentals or people working in and around Heathrow, we have the onward transport solutions to meet their needs.